Hidme, a resident of Mulaguda village in Jhapra – Gram Panchayat of Sukma district, delivered her baby at home one afternoon. Due to low awareness, the family was not willing to go to the hospital. The villagers did not have a clean blade to cut the umbilical cord, which increased the chances of infection for the baby. The baby looked healthy, but Hidme herself was very weak and was not able to breastfeed her baby. Luckily, Piyush, one of our team members, was in the village at the time. He clearly explained the need for immediately shifting to the hospital to the entire family and convinced them. Although an ambulance was not readily available, he was able to arrange a vehicle and got the mother and baby admitted to the hospital. The hospital staff took proper care of the mother and child. Thankfully, both the mother and the baby are doing fine. While we are happy about this kid, what if our team is not present on the day in the village? How many villages can we be present in? What is a sustainable solution for this problem? We strongly hope that Educating mothers & communities about the best practices during the first 1000 days of a child’s birth is the most cost-effective means to reduce maternal & child deaths. We are trying our best to create a technology-powered, scalable & sustainable solution to bridge these knowledge gaps in marginalized communities. Support us in this noble endeavor. 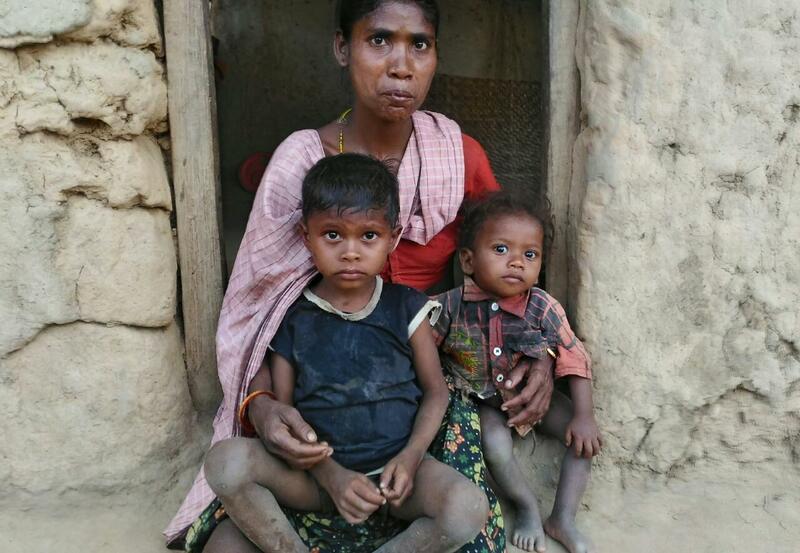 Our Nutrition Resource Person (NRP) in Jhapra village diagnosed Jogesh & Kesha as being Severely Acute Malnourished (SAM). After talking to their parents for a couple of days, and convincing them, they agreed to admit the kids to Nutrition Resource Center. Over a period of 20 days, the Jogesh’s and Kesha’s health improved, and they moved from being SAM to Moderately Acute Malnourished (MAM). This example shows how critical this kind of intervention is. However, it is also important that Jogesh’s and Kesha’s health continues to be monitored, to make sure that they improve their status from MAM to Normal. Our NRPs are monitoring the status daily & educating the families for better care of their children.